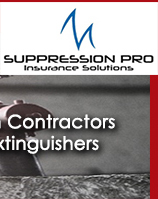 New Fire Protection Program for Contractors. We are involved in All industry specific trade organizations, so we KNOW what they DO. We have over 40 years experience in the fire protection industry and our goal is to protect your client and provide you with superior knowledge and top-of-line support.